The firm’s Corporate/Commercial, Healthcare, and Real Estate practice groups were also recognized in this year’s rankings. Chambers USA is an annual ranking of leading lawyers and law firms in the U.S. Rankings are based on extensive in-depth interviews with attorneys and clients, and are designed to assess technical legal ability, professional conduct, client service, commercial awareness/astuteness, diligence, commitment, and other qualities most valued by the client. 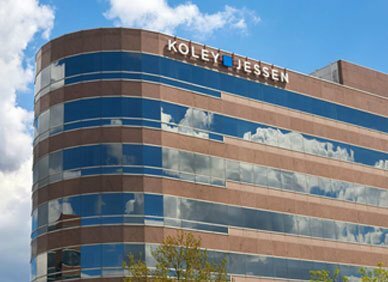 Koley Jessen is an aggressively growing law firm serving the needs of business owners, executives and professionals around the country. For businesses of all types, we are active partners who provide multi-discipline counsel to help our clients achieve personal and business success.